Much controversy surrounds the argument on how Joseph Smith translated the Egyptian hieroglyphs into the English language in which the story of Abraham was brought forth. Some LDS apologists insist that the original papyrus of the Book of Abraham was lost and the writing on the fragments (pieces cut from a scroll) including the original papyrus of Facsimile No. 1 which came to light in 1967 were not what Joseph Smith used to produce the Book of Abraham. Critics contend that those fragments must have been the source by which Joseph Smith fabricated his story and point to the hieroglyphic writing to the immediate right of the Lion Couch scene (Facsimile No. 1) and fragment No. 11 which has been shown to be the piece that was originally adjacent to the left side of Facsimile No. 1. The critics insist that the writing that flanks the picture itself must be part of the story of Abraham which Joseph Smith translated. Some LDS apologists maintain the theory that the real papyrus roll of the Book of Abraham has been lost, thus, the source for the story has ever remained a mystery because all of the papyri fell out of the hands of the church and no one will safely say for sure, "this is the roll by which Joseph translated", or so it seems. Nevertheless, it has been documented that there were in fact at least two rolls had by the prophet; one was the story of Abraham and the other was that of Joseph who was sold into Egypt which was not translated. At least one of the rolls had rubrics (red writing as headers) and this certainly does seem to compare well with some of the more handsome pieces recovered from the New York Metropolitan Museum and now extant in the church archives. The critics are not unreasonable in the least to assume the writings which surround the original picture of Abraham upon the altar to be the actual text that Joseph Smith translated. LDS apologists have not been able to successfully answer the charges in which the critics could at least find some quarter for Joseph Smith and consider alternative explanations. 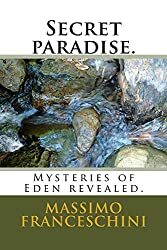 A popular explanation is the idea of a missing roll which Joseph Smith translated and not the papyri recovered in 1967. Much to the disappointment of LDS scholars, the reality of the writing that surrounds Facsimile No. 1 proves to be nothing more than Egyptian funerary spells of the Book of the Dead and bears no relation to the story of Abraham when translated by modern Egyptologists. Some LDS apologists continue to insist that the real record of the Book of Abraham was translated from a scroll which is still lost. This in spite of the fact that we can clearly see that significant portions of the papyrus as described by Oliver Cowdery have been perfectly accounted for and the Joseph Smith Alphabet & Grammar project shows that characters from the papyrus were used to generate the story. 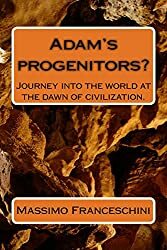 Perhaps these apologists theorize that the missing roll(s) of Abraham & Joseph were a personal treasure kept in antiquity by priestly lines and found their way into the tombs of Thebes by the providence of God? Was there really a scroll preserved in Egypt about Abraham the ancient Canaanite priest who visited Egypt in a time long before the tombs of Thebes were cut? One thing is for sure--Abraham himself had the original manuscript in his possession for an unknown amount of time. 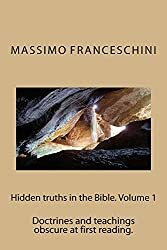 Perhaps it is not an impossible dream that such a book could find its way into the hands of pious priests who kept the record in store as a testimony from the Hebrew God. All of this of course is pure speculation. Still yet, some may wonder if these alleged missing rolls have shared the same fate as the Hypocephalus and Facsimile No. 3? Perhaps they were destroyed in the 1871 Chicago fire or are sealed up in a box which has long been forgotten? Finally, as a matter of great convenience these LDS apologists maintain that until those mystery rolls are found, the text cannot be examined by which the Book of Abraham was translated. I personally don't believe the missing roll theory. Bear in mind, in order to maintain this theory, there are some very difficult questions that cannot be ignored let alone answered! The missing roll theory brings up several points of controversy that cast severe doubt on the validity of Joseph Smith's work.